Does the connection of prostate cancer and fish oil concern you? 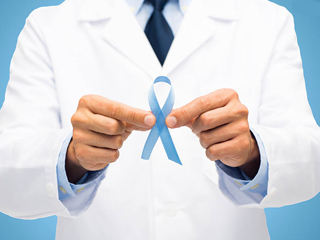 Know their relationships and better, how to treat prostate cancer effectively here! Fish oil use has exploded over the last few years. With claims of many health benefits including heart health, brain health, joint pain, etc. also come some health concerns. 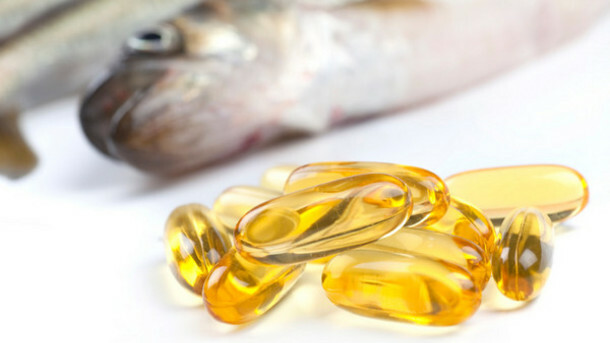 There are questions arising on the increased risk of prostate cancer when using fish oil. Is it really so? What Is the Relation Between Fish Oil and Prostate Cancer? A study published in the Journal of the National Cancer Institute checked the omega-3s levels in blood among men participating in the Selenium and Vitamin E Cancer Prevention Trial (SELECT), which was a trial looking at whether selenium or/and vitamin E would lower prostate cancer risks. The study showed that high levels fish oil in blood increased the risk of prostate cancer by 43%, and the risk for aggressive prostate cancer by 71%. However, this study did not take the participants’ diets into consideration, so it’s unclear whether the high levels of fish oil were due to food or supplements. But why is fish oil and prostate cancer related? It’s still not fully understood. One possible explanation would be that some unknown properties of omega-3s, when in excessive levels, may result in oxidative stress, causing DNA damage. Just like other supplements, moderation is key. It’s always a better idea to get what your body needs from foods. Keep a balanced diet and that wouldn’t be a big issue. If you really need to take fish oil, discuss it with your doctor to weigh the benefits and risks and determine the acceptable amount that would be safe for your body. Besides the relation between fish oil and prostate cancer, what about other possible risk factors? While prostate cancer can occur in anyone, many factors would put some people at greater risk. Men Over 50: It isn't as common before the age of 40, but the risk rises after age 50. Over ⅔ of the cases of prostate cancer occur in men older than 65 years of age. Genetics and Family History: You are at a higher risk for prostate cancer if you have an immediate male relative with a history of it. There is also a connection to women in the family that are positive for the breast cancer gene (BRCA1 or BRCA2) genes. If you have an immediate female relative with actual breast cancer, you may also have a higher risk of prostate cancer. Race: African American men tend to have the highest risk for prostate cancer. They also tend to get more aggressive forms of prostate cancer. Obesity: Not only does being overweight increase your risk for prostate cancer, it can also make it hard to treat. Poor Diet: Some studies suggest that prostate cancer risk is higher in men who eat large amounts of dairy products and red meat. It is also more common when fewer vegetables and fruit are eaten. Large amounts of calcium based foods and supplements may also raise the risk of prostate cancer. Prostate Inflammation: Prostatitis is a common form of prostate inflammation that can increase the risk of getting prostate cancer in the future. On the flipside, inflammation in the prostate gland can be mistaken for prostate cancer. Doctors need to take a biopsy of the prostate tissue to rule out cancer in this case. Sexually Transmitted Diseases (STDs): Researchers are looking at the possibility of STDs increasing the risk of prostate cancer as some STDs can cause the prostate to become inflamed. At this time, more research is needed on this risk factor. Smoking: Smokers have an increased risk of any kind of cancer. There is no direct evidence that smoking directly causes prostate cancer, but it can increase the risk of death from prostate cancer. Exposure to Chemicals: There are chemicals linked to increased cases of prostate cancer. Firefighters have higher numbers than any other occupation due to chemicals used to extinguish fires. Vietnam veterans also have increased cases of prostate cancer possibly due to Agent Orange exposure. Research studies are ongoing into chemicals that can increase the risk. The doctor may opt to just watch the cancer and wait on treatment until it shows that it may be growing or spreading. This is an option for older men or men who have other health conditions. Your doctor will monitor the cancer with blood tests and a rectal exam at 6 month intervals. If things start to look like they need further treatment, the doctor will discuss your options with you. If prostate cancer shows signs of spreading, the doctor will offer surgery. When they open things up they will check the lymph nodes for the spread of cancer. 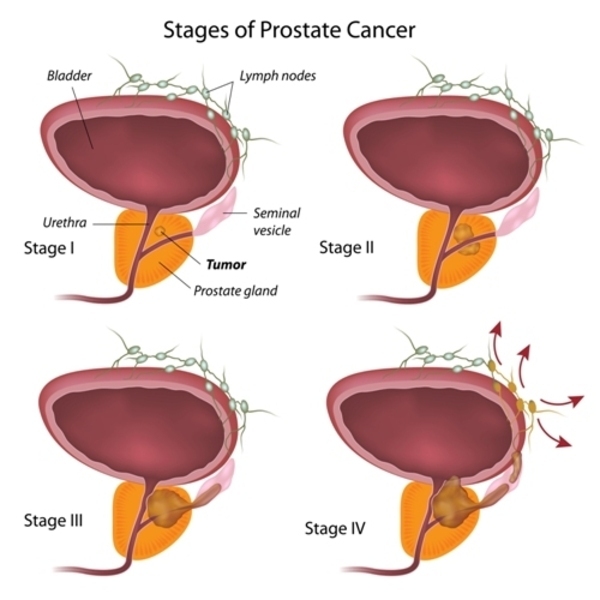 If the cancer has not spread to the lymph nodes, the prostate is removed. If the cancer has spread to the lymph nodes, the prostate will not be removed and the surgery stopped. If your cancer has spread to the lymph nodes, your doctor will suggest a course of radiation and/or chemotherapy to kill off cancer cells. Hormone therapy is done when the cancer has spread and cannot be cured with surgery or radiation therapy. They can either remove the testicles to stop the production of male hormones or use a hormone antagonist. This can help slow or stop the growth of the cancer. Can yeast infection happen to men? Of course and it can be extremely painful and discomforting. Get to know it to heal it fast. Know all needed info here!